Our Lucy never ceases to make us laugh. She is such a great puppy! How much is that doggie in the mirror?? 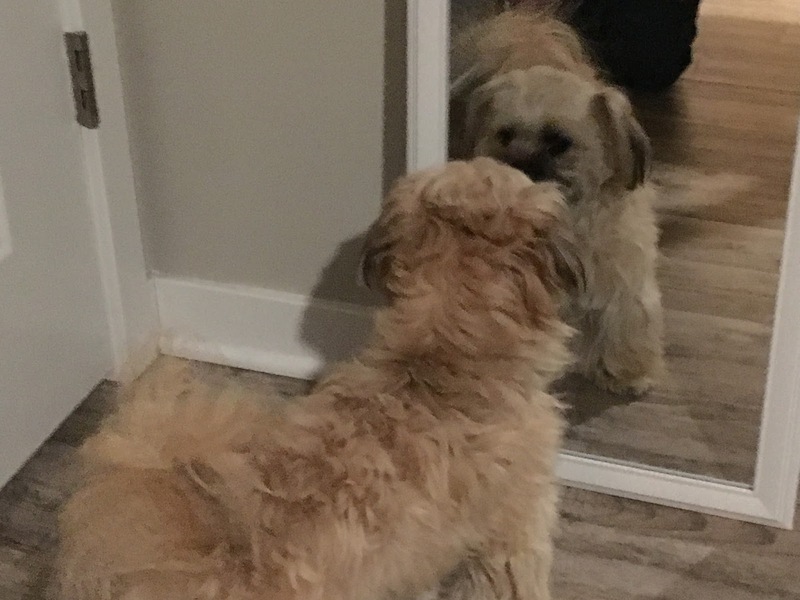 We often wonder what she is thinking when she sees herself in the mirror.